Mrs 1537: How many ?!! Running out of room – time for another hobby? *apologies to Gallon Drunk, Bonzo Dog Doo-Dah Band, Thelonious Monk and The Heavy, who I forgot to add to the mosaic. 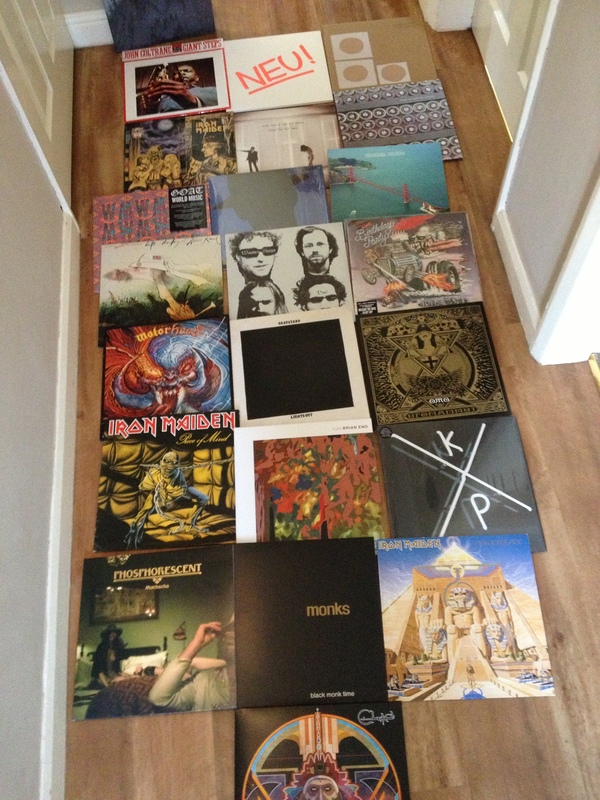 Heat / Vinyl – I know how to weight my priorities, no contest! 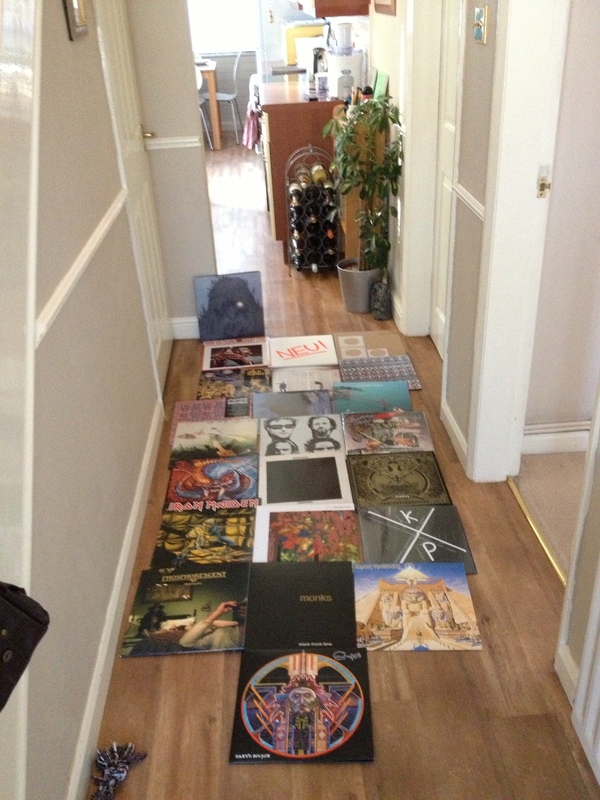 And might I say that the veritable wall of vinyl is a thing of beauty. Awe-inspiring, and something this Midwestern schlep can aspire to. Define schlep, is it a kind of North American burrowing mammal? Or a mid-western dish involving grits and corn? Schlep…a yahoo, numbskull, dorkus maximus,..something along those lines. But what’s this talk of “new hobby”? That’s defeatism. Rubbish. I think it’s time to add that vinyl wing onto the house. A vinyl library of sorts. I only got Clutch yday and it is just incredible. True…but they don’t sound near as good. Great haul! 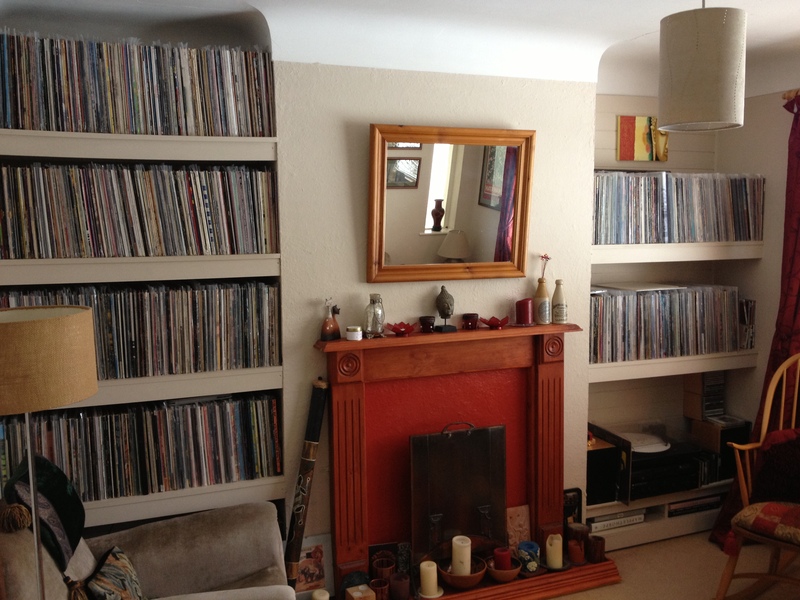 And I’m ultra jealous of your living room storage space… I have my music in various walk in cupboards. So much still to get, can you believe I only bought Powerslave & Piece of Mind this year? shocking dereliction of metal duty. You are definitely sent to the back of the Metal class for that hahah. Better late than never though. Please tell me you have Live After Death already. Are they originals or the recent reissues? Or are they more of the good old Fame versions? !